;">Nitrosigine® is a patented, long-lasting nitric oxide booster clinically proven to enhance workout performance. Patented. 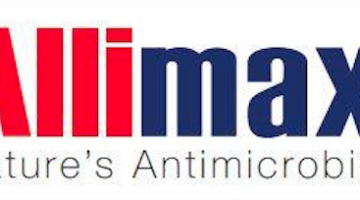 The Nitrosigine brand is protected by 11 patents and applications in multiple jurisdictions. Researched. Dozens of preclinical and clinical trials have shown that the supplement can substantially increase blood flow to muscles. Long-lasting. Nitrosigine is not only fast-acting but also lasts for up to 6 hours. Certified safe. The U.S. Food and Drug Administration (FDA) has deemed Nitrosigine safe for use based on multiple clinical trials. Since its release, Nitrosigine has emerged as one of the premier workout supplements capable of boosting nitric oxide levels. The synergistic effects of arginine, silicon, and inositol improve blood flow substantially better than any of these compounds alone, and reportedly better even than NO supplements. The benefits of this process are wide-ranging and include reinforcing muscle growth and endurance, minimizing muscle damage, honing focus, and boosting energy. Beyond these exercise-based benefits, Nitrosigine has also proved effective at supporting brain, cardiovascular, skin, bone, and joint health. Nitrosigine has accumulated many awards and earned a reputation as a safe, non-stimulant, high quality ingredient over its relatively short lifetime. Currently, researchers have been combining Nitrosigine with other workout supplements to great effect. e of the major components of Nitrosigine is the amino acid arginine, which converts into nitric oxide (NO) inside the body and thereafter increases blood flow to targeted regions through vasodilation. 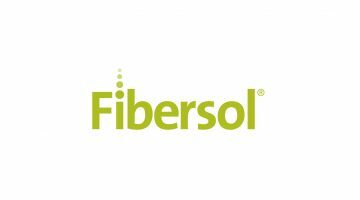 In addition, the high content of silicon in Nitrosigine further increases blood flow by enhancing the flexibility of blood vessel walls. Improving blood flow to specific areas not only boosts the amount of available oxygen and nutrients, but also enhances the removal of wastes and toxins that accumulate during heightened periods of work. For example, augmenting blood flow to the muscles enables them to absorb more essential nutrients — elevating their endurance and growth — as well as eliminates the buildup of oxidants that would otherwise cause muscle damage. Such effects could ultimately improve muscle strength and recovery while also delaying fatigue during exercise. 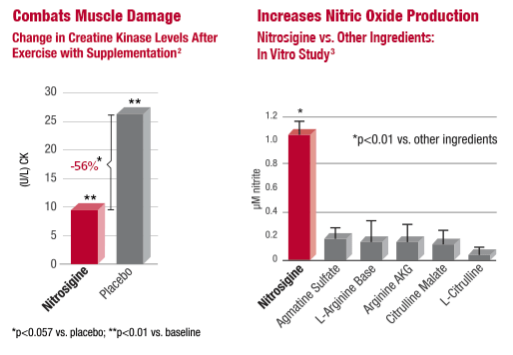 Nitrosigine significantly increases NO and decreases markers of muscle damage. The manufacturing process of uniting arginine, silicon, and a sugar alcohol to make Nitrosigine is covered by several patents, including U.S. patents 5707970, 6344444, and 6156735. U.S. Patent 6803456 details Nitrosigine’s capacity to slow the progression of atherosclerosis and similar conditions that clog blood vessels. U.S. Patent 7576132 elaborates the potential benefit of taking Nitrosigine to deal with health issues such as the degenerative bone and cartilage disorders osteoporosis and arthritis, as well as chronic illnesses like metabolic syndrome. Nitrosigine is first and foremost a workout supplement, though its ability to boost NO levels grants it a variety of additional uses in supplementation. d blood flow provided by Nitrosigine has also been linked to reductions in muscle damage and soreness. These effects collectively speed up muscle recovery and make Nitrosigine a viable post-workout supplement. ch has demonstrated that Nitrosigine may even be capable of improving cognitive function and ameliorating brain complications such as traumatic brain injury, dementia, and Alzheimer’s. Though not its most common use, nootropic supplementation is a gaining ground as a notable bonus to Nitrosigine’s many health advantages. In terms of workout benefits, the added boost to mental acuity and focus can bolster overall performance. e for Nitrosigine may be as a joint health supplement. Preclinical trials have verified that taking it can significantly reduce the presence of inflammatory markers, leading to less inflammation and joint pain. As such, Nitrosigine may be beneficial for athletes and fitness enthusiasts concerned about joint health, especially for inflammation-based issues such as arthritis. n also be a natural cardiovascular supplement because it improves blood flow. 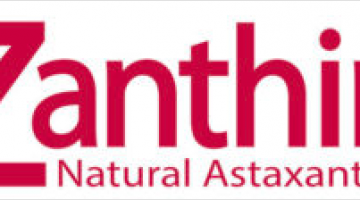 In particular, its knack for vasodilation can help mitigate health complications stemming from the clotting or narrowing of blood vessels such as atherosclerosis. Countless multi-ingredient workout supplements designed to increase energy and muscle endurance have integrated Nitrosigine into their base. Several such workout supplements include Evertrain PRE, AMPED by Isagenix, MORPH by iSatori, and Pre Workout V5 Natural by NutraBio, among others. Clinical research: More than 20 human studies have affirmed that Nitrosigine is an effective NO booster, effectively increasing blood flow to the brain, muscles, joints, heart, and skin. Safety certification: The U.S. FDA has granted Nitrosigine Generally Recognized as Safe (GRAS) status as well as notification status as a New Dietary Ingredient (NDI). Ideal duration: Nitrosigine is both fast-acting and long-lasting. Its 6-hour duration eclipses that of many similar supplements. Multi-faceted effects: Few workout supplements can match the myriad of health benefits associated with Nitrosigine, ranging from amplifying muscle endurance and recovery to improving mental focus and cardiovascular well-being. Awards: Nutrition 21 has garnered a plethora of awards for Nitrosigine — including the Novel Ingredient and Science Award from the Natural Products Association —£ for having far reaching applications, clinical disease utility, health benefits, and regulatory safety achievement. The supplement was also a finalist for the 2015 Best New Functional Ingredient NutrAward. 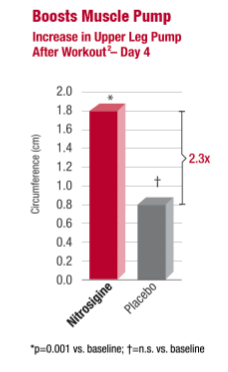 rosigine has displayed an extensive NO-boosting capacity, resulting in benefits for the muscles, brain, and cardiovasculature in numerous clinical trials. Of note, several of these trials received sponsorship from the company that manufactures Nitrosigine. A selection of key studies is detailed below. In this double-blind, randomized, placebo-controlled investigation, 16 males took either a placebo or 500 mg of Nitrosigine 3 times a day during a 4-day period in which they completed an intense leg exercise protocol. Supplementation with Nitrosigine led to statistically significant improvements in perceived energy, decreases in perceived fatigue, and increases in leg circumference and blood flow compared with the placebo. In addition, Nitrosigine significantly reduced muscle damage (as indicated by lower creatine kinase levels) and muscle soreness (as indicated by lower lactate dehydrogenase) compared with the placebo. Nitrosigine boosts lower leg muscle girth after endurance training. In this investigation, 10 males received 1500 mg of Nitrosigine daily for 14 days. Increases in arginine and silicon levels were significantly correlated with elevated concentrations of 81% of proteins in the blood compared with baseline. 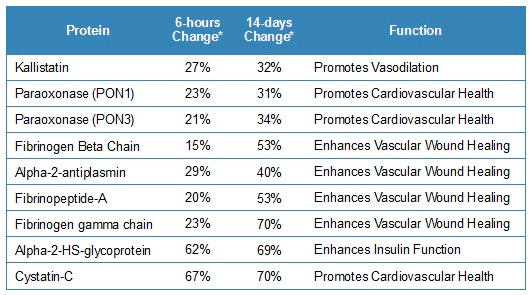 The proteins with the highest increase were those associated with vasodilation and cardiovascular health. The type of proteins affected by Nitrosigine included biomarkers of vasodilation, vascular wound-healing, and cardiovascular health. This two-parted double-blind, placebo-controlled investigation examined the effect of Nitrosigine on mental focus and clarity. For the first part, 11 males took either a placebo or 1500 mg of Nitrosigine every day while completing cognitive ability tests during a 14-day period. The Nitrosigine group completed the cognitive function exams significantly (28%) more quickly than the placebo group. The second part of the study examined 16 males and tested for 3 days. Taking the supplement improved cognitive function scores by 33%. 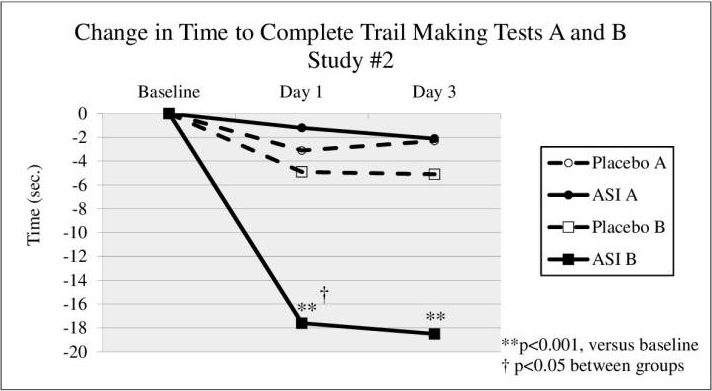 Change in time from baseline to complete cognition, or Trail Making, tests 10 – 15 min after a single dose of Nitrosigine (ASI) supplementation. ls have most commonly used 3 servings of 500 mg of Nitrosigine per day. Typical Nitrosigine supplements come in 750 – 1000 mg capsules taken 1 – 2 times daily. Nitrosigine is clinically proven as a NO booster. Nitrosigine can considerably increase vasodilation and blood flow throughout the body. The primary benefit of this effect is to invigorate muscles, which makes it an ideal pre-workout and post-workout supplement. What’s more, clinical research has shown that Nitrosigine may also augment cognition, support joint health and wound healing, and combat cardiovascular health complications. Take 1500 mg of Nitrosigine per day. Multiple clinical studies have confirmed the safety and efficacy of consuming 1500 mg of Nitrosigine per day as 3 separate 500 mg servings.